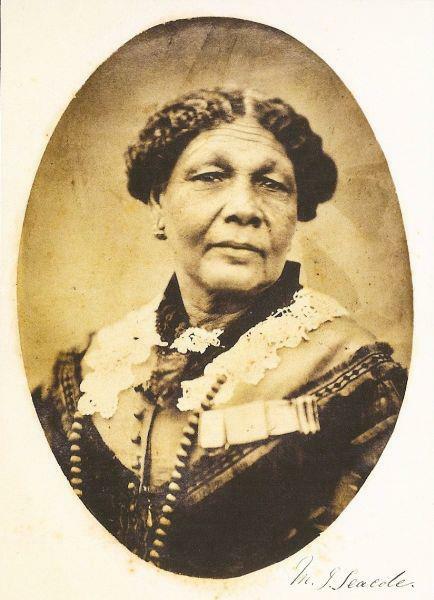 Mary Seacole (Circa 1805 – 14 May 1881) was a ‘ woman who succeeded despite the racial prejudice of influential sections of Victorian society,’ was a heroine of the Crimean war and a pioneering nurse. 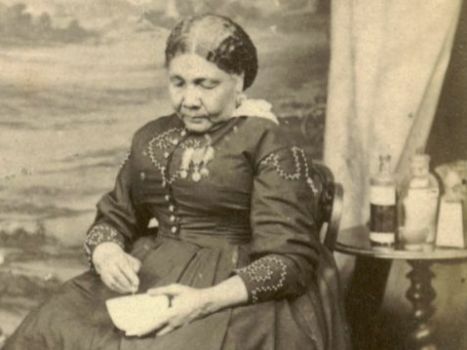 Mary Jane Grant, sometimes known as Mother Seacole or Mary Grant`s reputation after the Crimean War (1853-1856) rivalled Florence Nightingale's. 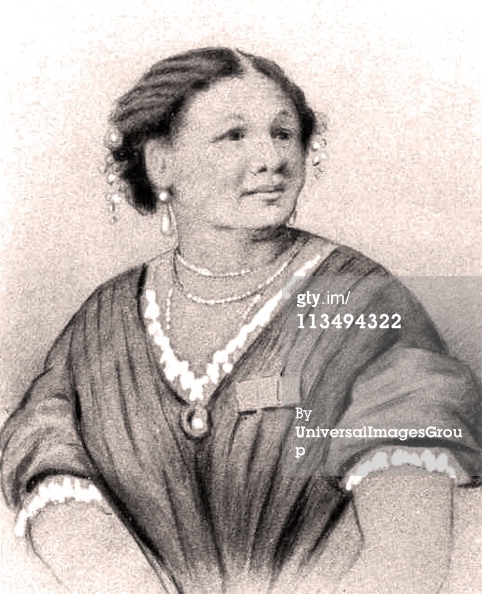 Unlike Nightingale, Seacole also had the challenge to have her skills put to proper use in spite of her being black. A born healer and a woman of driving energy, she overcame official indifference and prejudice. She got herself out to the war by her own efforts and at her own expense; risked her life to bring comfort to the wounded and dying soldiers; and became the first black woman to make her mark on British public life. But while Florence Nightingale has gone down in history and become a legend, Mary Seacole was relegated to obscurity until recently. 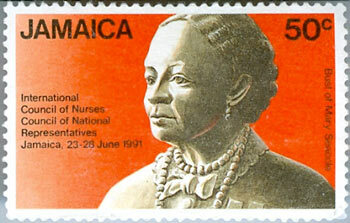 Mary Seacole was born in Kingston, Jamaica in 1805, although she kept her actual birth date a secret. 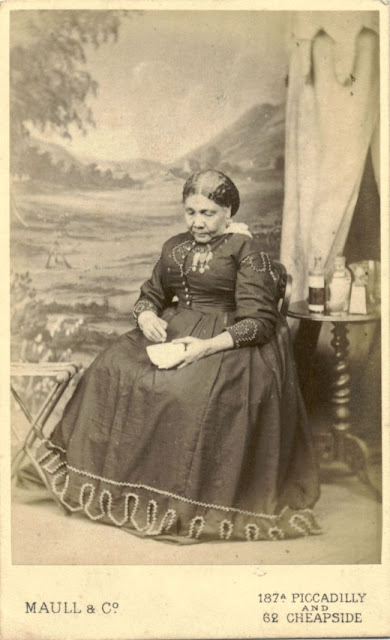 “As a female, and a widow, I may be well excused giving the precise date of this important event,” she writes in her autobiography,Wonderful Adventures of Mrs. Seacole in Many Lands. “But I do not mind confessing that the century and myself were both young together, and that we have grown side-by-side into age and consequence.” Her father was a Scottish soldier, and her mother was a practitioner of traditional Jamaican medicine and had a boarding house where she cared for invalid soldiers and their wives. Mary learned about medicine from her mother, soon gaining her own reputation as a 'skilful nurse and doctress'. 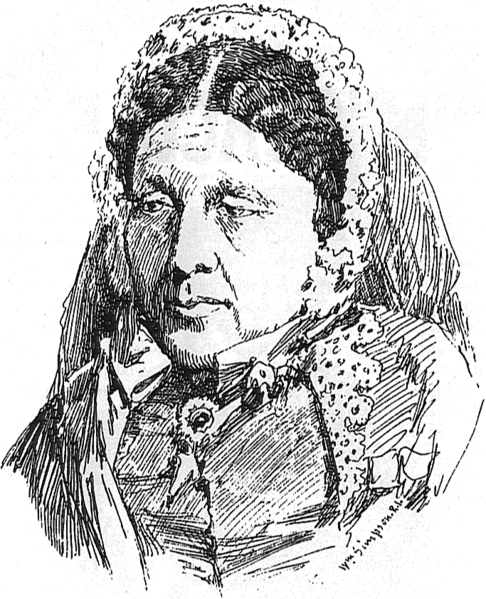 In 1836, Mary married Edwin Seacole but the marriage was short-lived as he died in 1844. Seacole was an inveterate traveller, and before her marriage visited other parts of the Caribbean, including Cuba, Haiti and the Bahamas, as well as Central America and Britain. On these trips she complemented her knowledge of traditional medicine with European medical ideas - there were two trips to Britain, and in 1851, she joined her brother Edward in Panama, where she opened a hotel. Soon she had saved her first cholera patient, and gained extensive knowledge of the pathology of this disease - which she herself contracted and recovered from. She was widely praised for her work in treating cholera, and returned to Jamaica in 1853, where there was a yellow fever epidemic. The medical authorities came to her to provide nurses to care for the sick soldiers. She travelled again to London, where she heard about the Crimean war and how the nursing system there had collapsed. She mad applications to the War Office, the army medical department, and the secretary of war to be allowed to go to the Crimea and tend to the sick and wounded. She pointed out that she had extensive experience, excellent references and knew many of the soldiers and regiments, having nursed them while they were stationed in Jamaica. But she was turned away by everybody, including one of Florence Nightingale's assistants. Was it possible, she asked herself, 'that American prejudices against colour had taken root here? Did these ladies shrink from accepting my aid because my blood flowed beneath a somewhat duskier skin than theirs?' in her disappointment, Mary cried in the street. 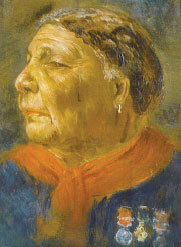 A portrait of Mary Seacole in oils, c. 1869, by the obscure London artist Albert Charles Challen (1847–81). The original was discovered in 2003 by historian Helen Rappaport, and acquired by the National Portrait Gallery in London in 2008. 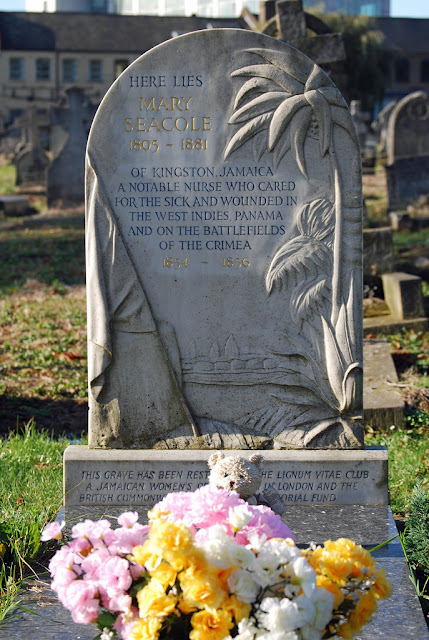 A distant relative of hers, called Day, was going to Balaclava on business, and they agreed to launch a firm called Seacole and Day, which would be a general store and hotel near the British camp in the Crimea. So, at the age of 50, with her large stock of medicines, Mary went to the battle zone as a sutler - a person who follows the army and sells provisions to the troops. The moment she arrived in Balaclava there were sick and wounded to attend to. She opened her British Hotel in the summer of 1855, near the besieged city of Sevastopol. Soon the entire British army knew of 'Mother Seacole's'. The soldiers were her sons and she was their mother. Though some of the army doctors, despite her saving them a lot of work, regarded her as a 'quack', others were less bigoted. The assistant surgeon of the 90th Light Infantry watched with admiration as she, numb with cold would administer to the soldiers, giving them tea and food and words of comfort. She was often on the front line and frequently under fire. It was W.H. Russell, the first modern war correspondent, who made Mary Seacole famous. He described her as 'a warm and successful physician, who doctors and cures all manner of men with extraordinary success. She is always in attendance near the battle field to aid the wounded, and has earned many a poor fellow's blessings'. And now the good soul is "in a hole"
Won't give a helping hand?" Florence Nightingale was unimpressed by Mary Seacole's work in Crimea, and accused her of intoxicating soldiers and running a brothel. She was, as she had promised herself, the first woman to enter Sevastopol when it fell. But the end of the war left Seacole and Day with expensive and unsaleable stores on their hands. They went bankrupt, and Mary returned to England a financially ruined woman. The Times demanded how could anyone forget the amazing things that Mary had done, and praise only Florence Nightingale? Lord Rokeby and Lord Paget, both Crimean commanders organised a benefit festival at the Royal Surrey Gardens in Kennington to raise money for Mary. There were over 1,000 performers, and her name was 'shouted by a thousand voices'. In 1857, Mary published her autobiography, an outstandingly vivid piece of writing called "The Wonderful Adventures of Mrs Seacole in many lands" (CAN BE FOUND HERE:Project Gutenberg) which was prefaced by WH Russell: 'I trust that England will not forget one who nursed her sick, who sought out her wounded to aid and succour them, and who performed the last offices for some of her illustrious dead'. England, of course did forget Mary Seacole. 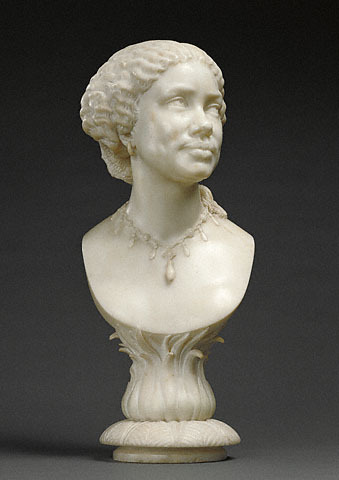 She was awarded a Crimean medal, and a bust was made of her by Prince Victor of Hohenlohe-Langenburg, sculptor and nephew of Queen Victoria. The last 25 years of her life, however, were spent in obscurity. When she died on 14th May 1881. By the 21st century, Seacole was much more prominent. Several buildings and entities, mainly connected with health care, were named after her. She appeared in the National Curriculum, with her life story taught at primary schools in the UK alongside that of Florence Nightingale. She was voted into first place in an online poll of 100 Great Black Britons in 2004. The portrait identified as Seacole in 2005 was used for one of ten first-class stamps showing important Britons, to commemorate the 150th anniversary of the National Portrait Gallery. 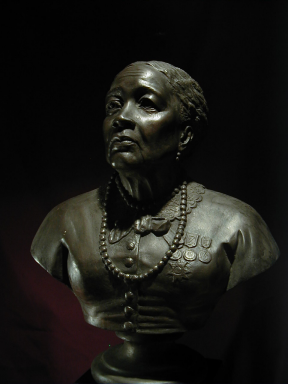 Sculpture of Mary Seacole.Credits:George Kelly, Fowokan. British buildings and organisations now commemorate her by name. One of the first was the Mary Seacole Centre for Nursing Practice at Thames Valley University, which created the NHS Specialist Library for Ethnicity and Health, a web-based collection of research-based evidence and good practice information relating to the health needs of minority ethnic groups, and other resources relevant to multi-cultural health care. There is another Mary Seacole Research Centre, this one at De Montfort University in Leicester, and a problem-based learning room at St George's, University of London is named after her. Brunel University in West London houses its School of Health Sciences and Social Care in the Mary Seacole Building. New buildings at the University of Salford and Birmingham City University bear her name, as does part of the new headquarters of the Home Office at 2 Marsham Street. 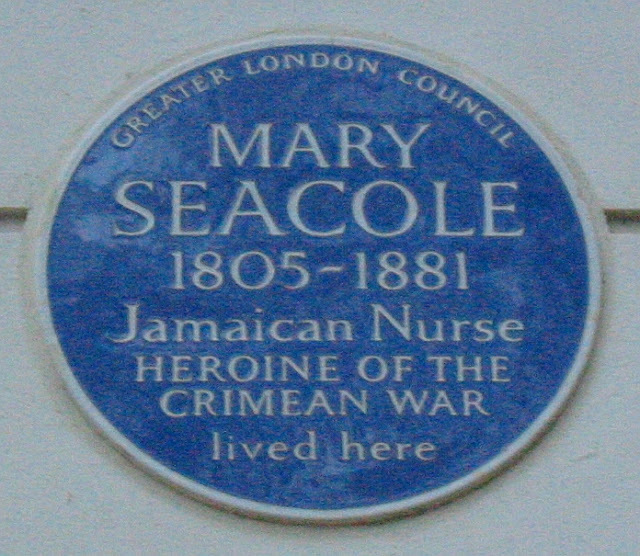 There is a Mary Seacole ward in the Douglas Bader Centre in Roehampton. An annual prize to recognise and develop leadership in nurses, midwives and health visitors in the National Health Service was named Seacole, to "acknowledge her achievements". An exhibition to celebrate the bicentenary of her birth opened at the Florence Nightingale Museum in London in March 2005. Originally scheduled to last for a few months, the exhibition was so popular that it was extended to March 2007. 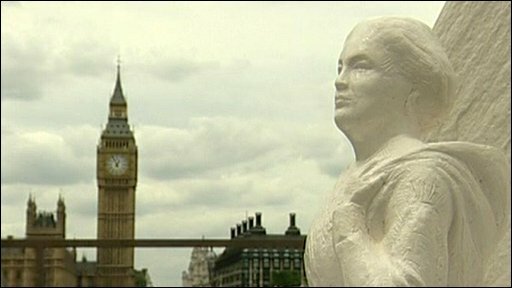 A campaign to erect a statue of Seacole in London was launched on 24 November 2003, chaired by Clive Soley, Baron Soley. 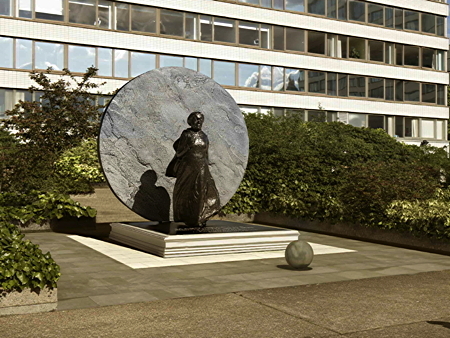 The design of the sculpture, which will be erected in the grounds of St. Thomas' Hospital, was announced on 18 June 2009. There is a feature film being made of her life by Seacole Pictures. A short animation about Mary Seacole was adapted from a book entitled Mother Seacole, published in 2005 as part of the bicentenary celebrations. -http://en.wikipedia.org/wiki/Mary_Seacole for more in depth history. Rest in peace you gentle giant!